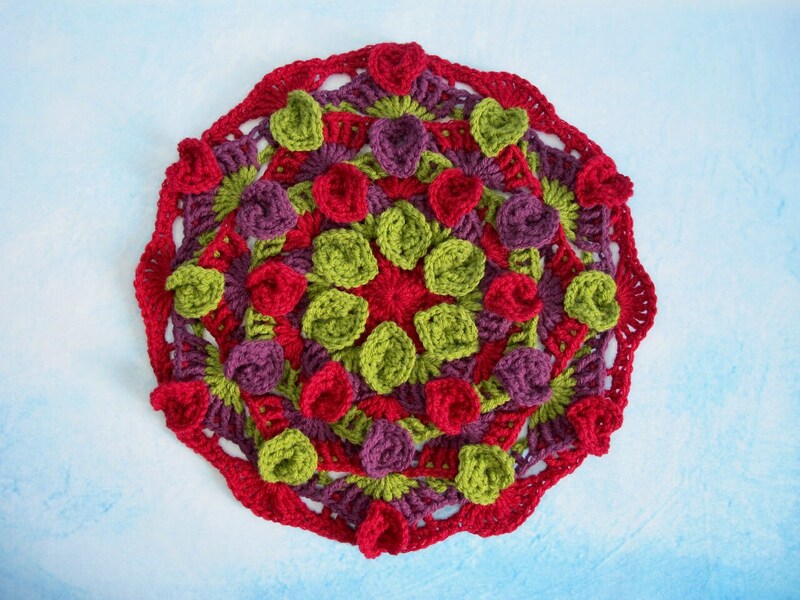 The Falling Leaves Mandala is a meditative crochet that can be made into a beautiful wall hanging, pillow cover, or any project utilizing a circle. This pattern creates up to a 16” mandala, but can be finished at an earlier point for a smaller round. You may also continue the repeating pattern to increase the diameter. Explore all the ways in which the Falling Leaves Mandala can be incorporated into your creative world. This is an intermediate level pattern. 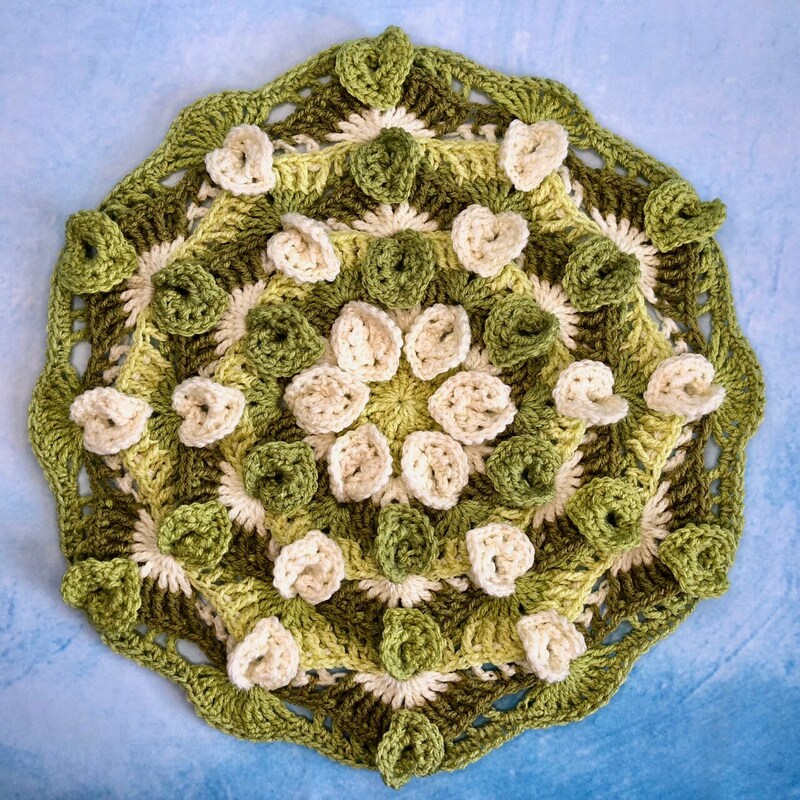 It contains a unique technique for working the leaves directly into the pattern which may be challenging for someone new to crochet. I have included pictures which I hope will help an ambitious beginner who wants to create this mandala. One of the most enjoyable parts of this project will be selecting your colors. I have written this pattern in three colors, but you may use as many as you like or just one. When you are designing your mandala, note that the odd rounds (beg w/rnd 3) will be the leaf rounds. In my three color mandala in which I repeat the colors in order, each color takes a turn becoming leaves. This purchase is for the the Falling Leaves Mandala pattern only. It does not come with the mandalas pictured here. This pattern is copyrighted and for your personal use only. The Falling Leaves Mandala may be made and given as a gift, but the pattern may not be reproduced for use by others. 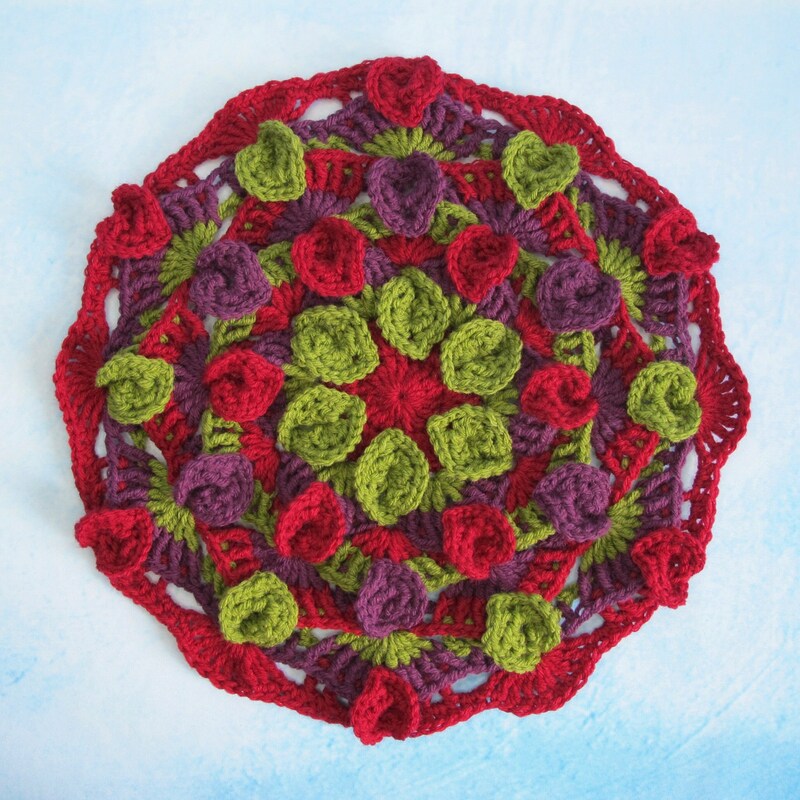 I hope you enjoy crocheting the Falling Leaves Mandala!